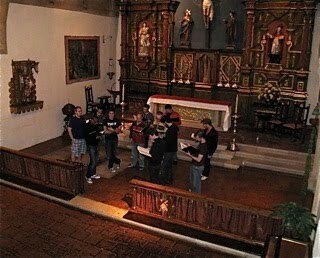 We're lucky to be Californians while we're in Chanticleer (Eric's almost always the only native Californian) and to perform often in the glorious California missions. 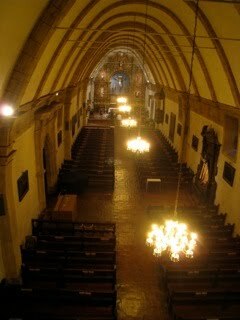 They have an intimate and profound atmosphere, and fantastic acoustics. Last night we were in Carmel whose acoustics are really out of this world. 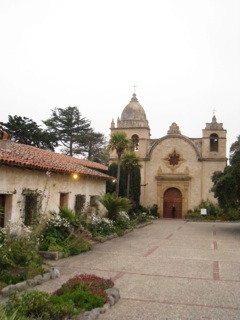 It's the only mission with an arched roof(see below.) There are always a lot of extremely loyal audience members who have been coming to Chanticleer concerts here for decades. Presenting our new programs under these conditions before we take them out on the road is such a luxury. We have many miles to go before we get back to Carmel for Christmas on December 21, but we already look forward to it. This was our second performance of "Out of this World." Our two new pieces "Observer in the Magellanic Cloud" by Mason Bates, and "Cells Planets" by Erika LLoyd (this latter something really new and different in our repertoire) seemed to resonate just as much with the Carmel audience as with San Luis Obispo the night before. We're really pleased about that. Our new digital storefront will launch on Monday -soon you will be able to download both new pieces - and, we hope, much of this concert! 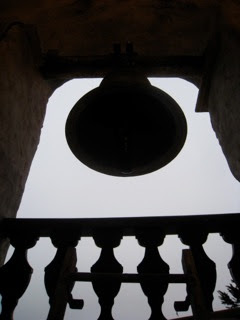 Behind the scenes in Carmel: one of the mission bells from inside the bell tower, and the famous crooked window (which is over the front door) from the inside. 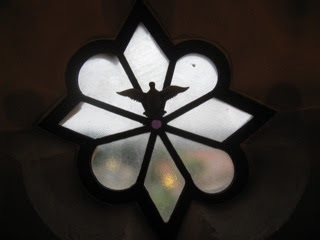 Nobody really knows why it was made crooked, although they do know that it was intentional, and could have had to do with refraining from pride by refraining from perfection.